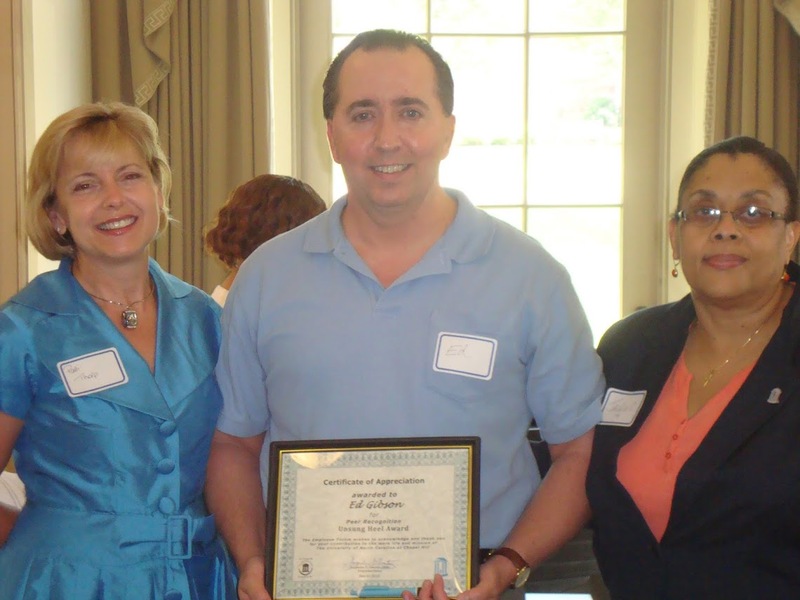 The Employee Forum gives three major awards annually: the Peer Recognition Awards, the Employee Forum Community Award (Three Legged Stool Award), and the Kay W. Hovious Award. Peer Recognition Awards deadline: April 25, 2014 at 5 p.m. This deadline has passed. Employee Forum Community Award (Three-legged Stool): May 16, 2014 at 5 p.m.
Kay Wijnberg Hovious Outstanding Employee Forum Delegate Award: Nominations will be considered by paper ballot at the regularly scheduled Forum meeting in April. Click on the links for each award above to submit a nomination. The Kay W. Hovious Award nomination is separate and online submissions will not be accepted. See the Kay W. Hovious Award webpage for more information.